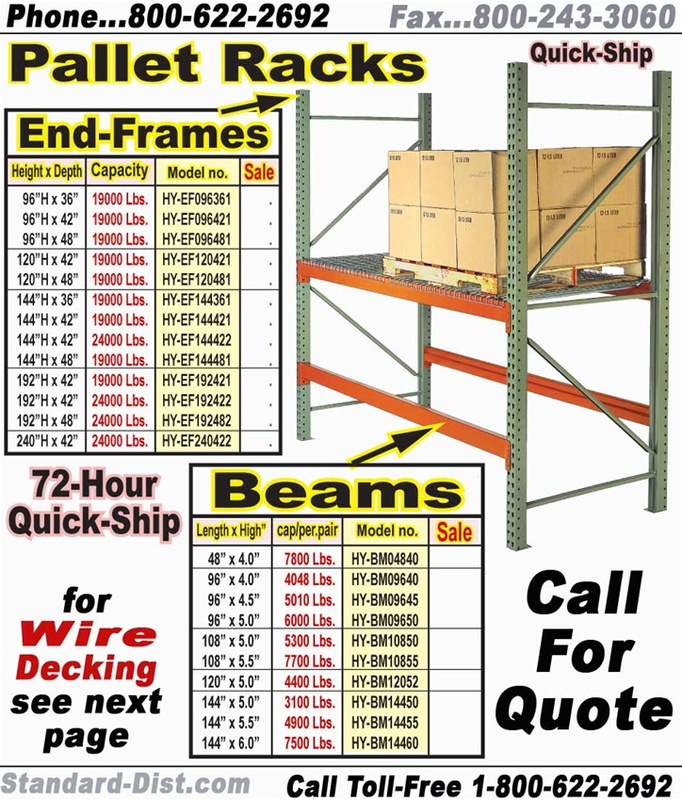 PALLET-RACKS, END-FRAMES & BEAMS, teardrop connection. Welded upright End-Frames & one-piece tubular welded Beams. 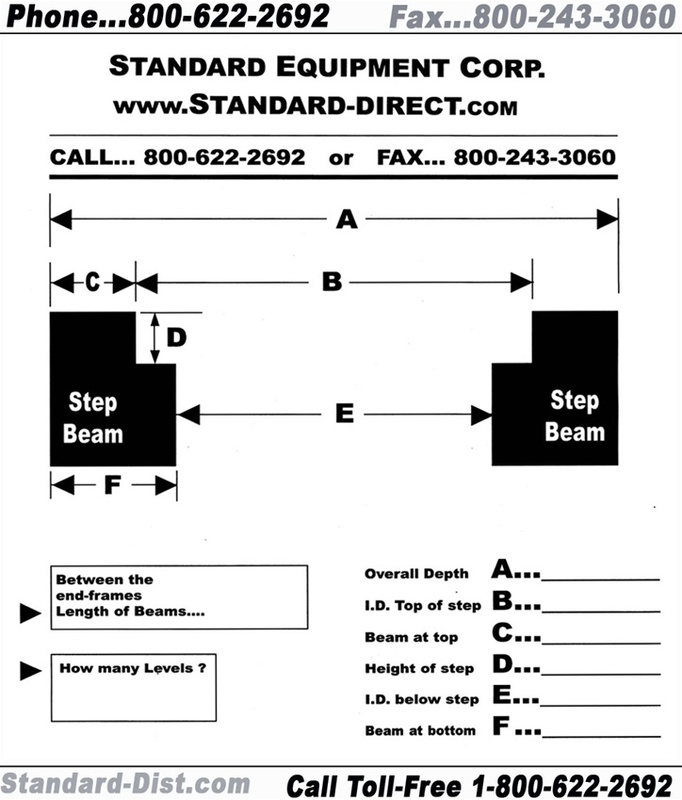 2-BEAMS are needed to make 1-Level. Quick-Ship on sizes shown. 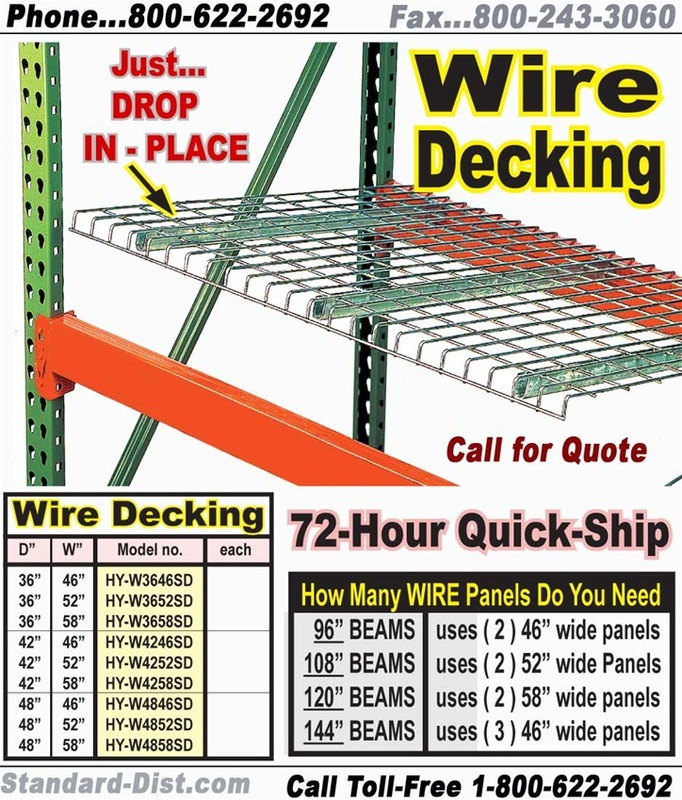 WIRE-DECKING FOR PALLET-RACKS. 14-gauge steel channels. Galvanized steel wire decking with 2"x 4" wire mesh. 6-Gauge wire. Low Maintenance. Nothing to fasten, just drop in place. Made in USA. 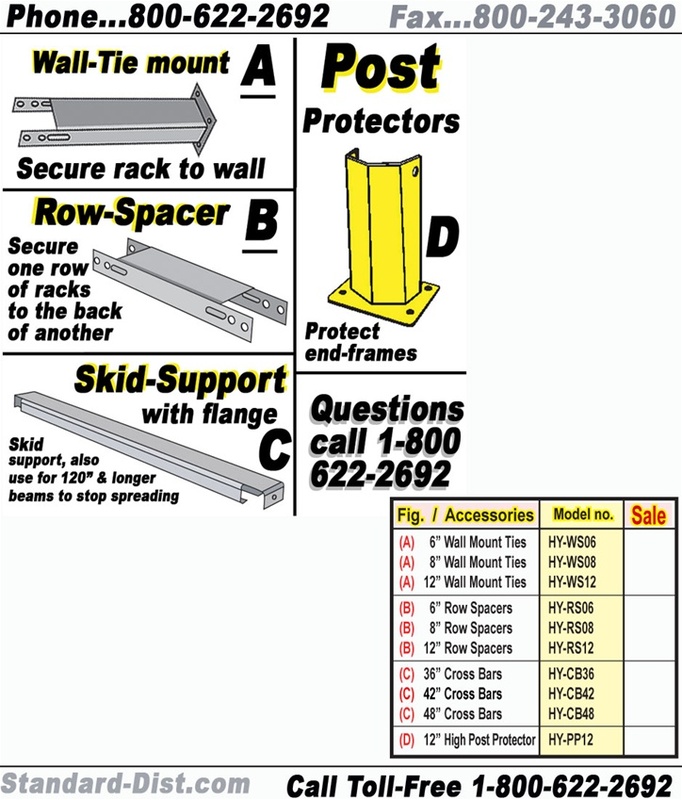 Maximize warehouse storage space and improve inventory management with one of our warehouse pallet racks. 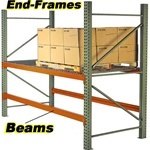 Our warehouse racking systems feature adjustable pallet shelves providing you with increased flexibility. 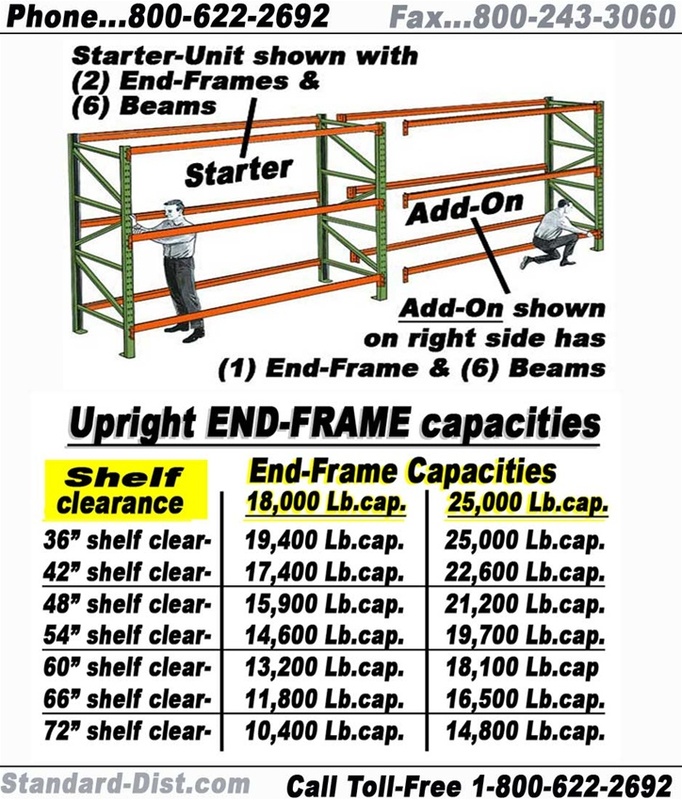 Our industrial pallet racks also come in a variety of load capacities and our largest model can support an astonishing 24,000 pounds. 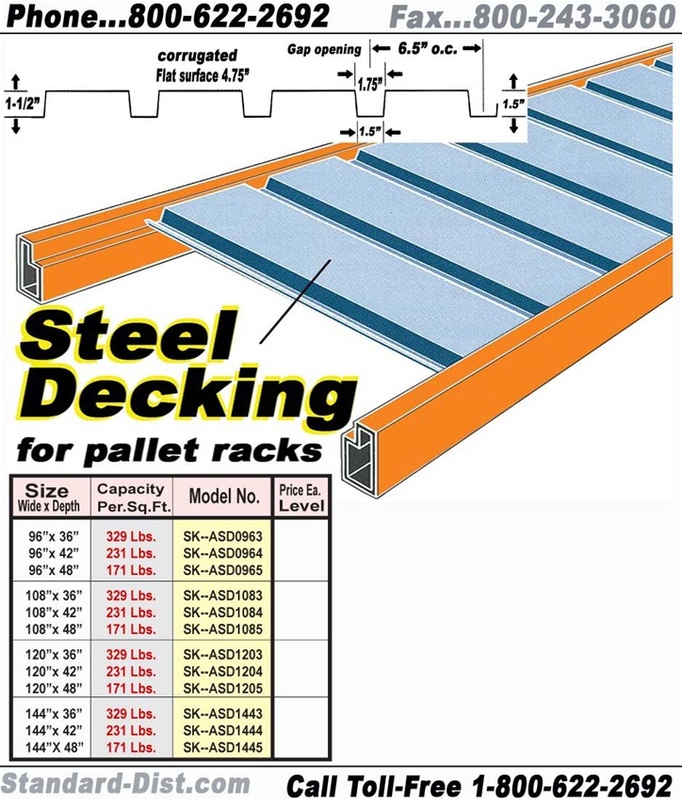 If you have any questions about our pallet shelving solutions, give us a call at 1 (800) 622-2692.